Le Tonle is a socially responsible guesthouse and restaurant where opportunities are provided to young disadvantaged Cambodians to develop their knowledge and skills in the field of tourism and hospitality. So far, there have been hundreds of young adults who have graduated from Le Tonle Training program and 95 percent of them found employment soon after their training completion. We are also an environmentally responsible organization who regards our top priority towards ecological education with our trainees and environmental conservation, throughout our daily business practice. We have worked to reduce energy and water consumption. Currently we have made a very important decision to reduce the non-organic wastes through our packaging. Therefore we have switched to using environmentally friendly boxes to pack our takeaway food, instead of plastic. 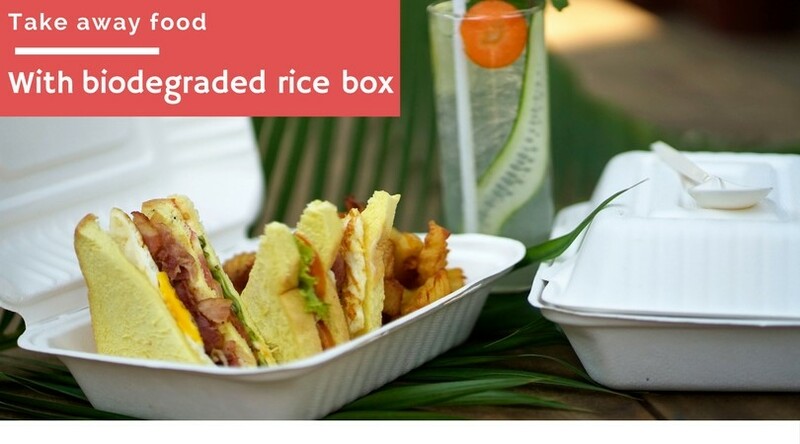 Fortunately, we know that EcoSense Cambodia produces and supplies food packaging and other cutlery made from sugar cane and corn starch. Along with these takeaway boxes, we have bulk ordered biodegradable straws to replace our plastic straws when serving drinks. Le Tonle Training Guesthouse and Restaurant is willing to pay an extra cost in order to make our planet greener. Will you join us to save our planet by reducing plastic waste?